While universities and schools remain the top consumers of AV over IP systems, hospitals are not far behind. According to Keith Kazmer at Black Box Network Services, hospitals increasingly use AV over IP to keep patients engaged, share health information, and communicate quickly between hospital offices or departments. Reaching out to patients and improving staff communications are valuable examples of AV over IP’s benefits in healthcare. But these uses only scratch the surface. AV over IP also offers opportunities to improve diagnosis and treatment itself. For instance, a fast, scalable, cost-effective AV over IP installation can transform the way operating room staff collaborate to provide optimal patient care. Here, we explore how AV over IP installations make operating rooms more collaborative work environments — and how systems integrators bidding on jobs in hospitals and healthcare facilities can pitch these benefits to potential clients. The use of AV in operating rooms is not new. Many surgical facilities use AV systems to integrate their equipment. However, as in other industries, AV in healthcare has always had its limitations. Distance factors are an increasing problem, as a Lightware USA white paper notes. Dedicated cables, complex switching systems or proximity to infrared emitters were required to make equipment communicate properly. 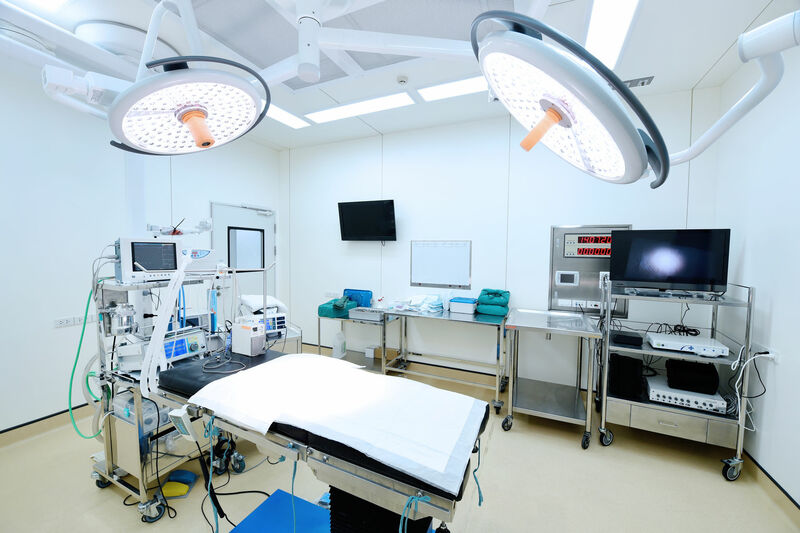 Operating rooms stand to benefit from this switch in multiple ways because modern surgeries use a wide range of imaging tools, like endoscopy cameras, patient monitors and other equipment. In the past, configuring these tools to work together demanded time, technical expertise and a great deal of funding. It also produced “large and growing rats’ nests of analog and proprietary digital cables,” as one blog post at Extreme Networks describes. These cables, even when contained, posed a safety risk for both patients and operating room staff. As AV-based surgical tools have improved care, they’ve also made a surgeon’s job more difficult in some ways. “The traditional way of using video in the OR was to wheel in a medical device designed with an exploratory camera for visualizing the inside of the body and hook it up to the display on the top of the cart,” says Steven Juett, director of clinical systems planning for CallisonRTKL. But this setup often obstructed the surgeon’s line of vision or demanded fatiguing body positions from the surgeon. 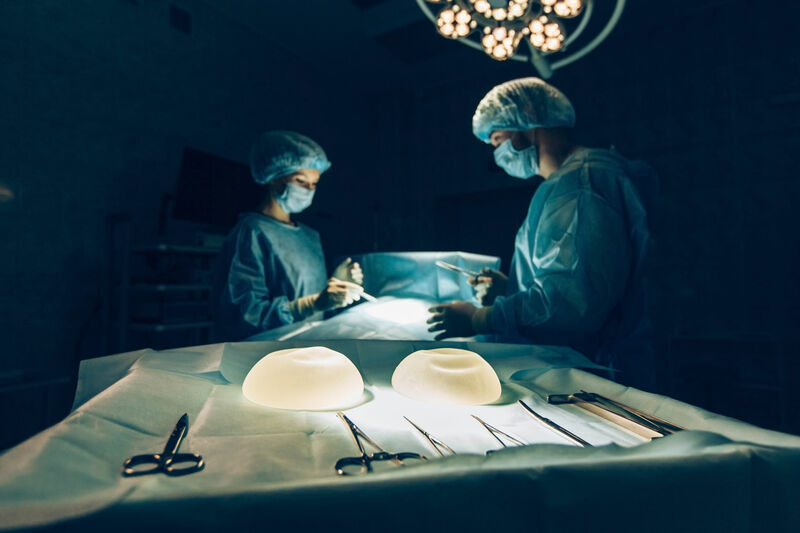 In 2016, Oslo University Hospital in Norway became the first hospital to integrate a 4K over IP operating theatre, according to Charlotte Ashley at InAVate. Today, many operating rooms are pushing for continual improvements because systems that provide real-time feedback improve both patient care and efficient use of the operating space, according to Audio Visual Innovations (AVI) vice president of systems integration Tony McClain. Why should operating rooms, hospitals and surgical centers upgrade their existing AV systems? Here are three of the major benefits to healthcare providers. Healthcare costs are a near-universal concern, particularly in hospitals and outpatient surgical facilities. But implementing such a system does not have to be expensive, and in many cases the system helps recoup its own installation costs. For example, as Keith Kazmer notes, a facility that already has an existing LAN infrastructure can often implement new AV over IP technologies by connecting them to the building’s LAN. Often, this internal network infrastructure can both boost range and improve signal quality — and highly detailed video can be just what the doctor ordered for collaborating OR teams. Finally, many healthcare vendors are discussing ways to futureproof operating room technologies. For instance, NUCLeUS touts its surgical suite as one that allows “any future-oriented hospital [to] consider tomorrow’s expansion today.” This forward-looking view anticipates cost reduction by seeking AV solutions that won’t instantly become obsolete or demand costly, customized upgrades in the future. Analog AV systems offered a host of different video standards, and convincing these systems to talk to one another efficiently can demand significant time, technical ability and investment in specialized equipment, a Barco white paper points out. By contrast, in an AV over IP system, “AV source signals are converted to a common IP standard which allows them to be integrated, managed and distributed on most standard data networks,” according British healthcare tech company Brandon Medical. In addition, because AV over IP can send signals using conventional IP switches and CAT5e or CAT6 cables, the distance limitations faced by other AV systems can be overcome. While some AV systems demand that components be within a certain distance of one another to communicate effectively, IP does not impose this limitation, as Lightware USA notes in a white paper. Ending the distance limit is especially valuable for large hospitals and surgical centers, as it makes communication between specialists possible even when they are physically located on separate floors or across campus. AV over IP can help operating teams improve the quality of healthcare delivery in several ways. 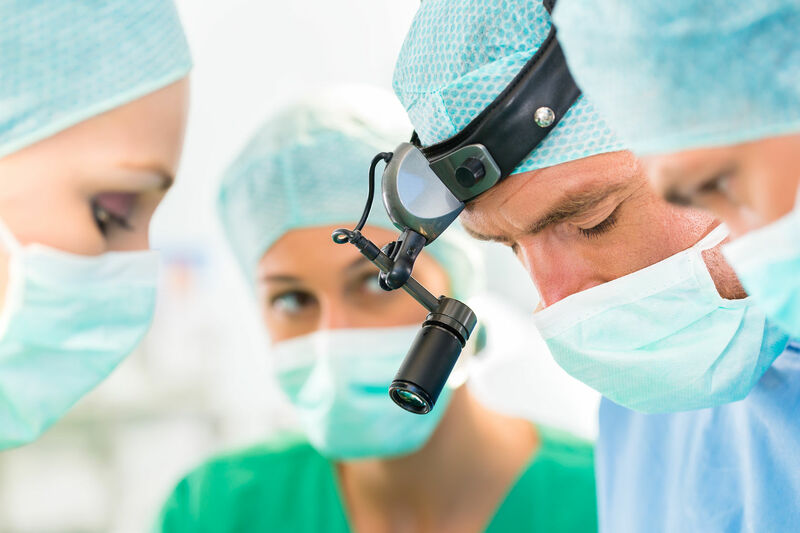 Not only can operating teams consult specialists immediately, but they can also control the number of people in the operating room itself by using IP-based systems to communicate with team members who need to be engaged, but who may not need to be in the OR itself, according to Diane Hagan at IVCi. Fewer people in the room lowers the patient’s potential exposure to infectious agents at a crucial time. AV over IP also streamlines a care provider’s ability to process and understand images and data, while also freeing up floor space for patient care. “By putting all the relevant images on one screen, this greatly simplifies connectivity between rooms, reduces cable costs, and reduces the size and complexity of routing equipment outside of the OR,” notes Admiral Communications COO Bob Higginbotham. Similarly, AV over IP can enable tools that in turn can be used to replace low-tech options. For instance, digital signage in operating units and facilities can replace printed signs that might otherwise need to be changed multiple times a day — and which might imperil patients if they are not changed. Imagine, for example, a digital sign on every operating room door linked to the patient’s medical record. The sign updates automatically with the patient’s allergies, identifying information or other needs, without staff being forced to remember to change a paper sign. Focus on the healthcare provider’s key concerns. Improving patient safety, quality of care and control of costs are high on any healthcare facility’s list of concerns. To fine-tune your presentation to a particular provider, however, don’t hesitate to examine their website or look up their recent performance in the federal Hospital Compare database or with the Joint Commission on Accreditation in Healthcare Organizations (JCAHO). Discuss flexibility across departments. Integrating all their AV applications and uses into a single system is highly appealing for a hospital administration seeking to streamline services and keep costs down, and it’s possible for many with AV over IP. To do this, however, you’ll need to be able to integrate new parts with legacy systems, notes Verrex Corp. VP of Design Engineering Todd Hutchins. “For effective, reliable communication to occur, the integrated operating room, data network, and remote audio-visual technology must be designed as related parts within a wider, integrated whole,” says Brian Murphey, a senior consultant with EDI, Ltd.
Brush up on specialized skills. Installing AV systems of any kind in hospitals demands an understanding not only of standard AV and IP technologies, but also of specialized medical devices and the demands of working in a sterile environment. Being able to speak and act knowledgeably on these topics is essential for success in OR-based projects. Be aware of pricing. The healthcare industry’s economics differ greatly from many other industries, and providing AV services to these facilities can be confusing from a financial standpoint. Building a strong team of vendors and professionals as part of your bid, and planning for unexpected complexity, can help your company succeed. Whether your company plans to offer turnkey solutions or to bridge the gap between a facility’s legacy systems and its IP infrastructure, understanding the key opportunities and challenges in placing AV over IP systems in operating rooms is crucial to success.